We started our Tibet travel service since 1991. And AccessTibetTour.com was published in 2004 when we started to provide online service. --He answered all of my questions in a timely fashion (even with the date difference) and I always felt that my needs were being taken care of. 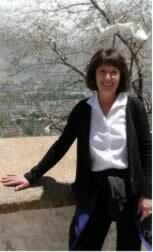 --It was challenge to put a program together that would satisfy such a diverse group but she did succeed. as our tour is reaching the end, I would like to convey from Xigatse the appreciation of our small group for the good work you did. 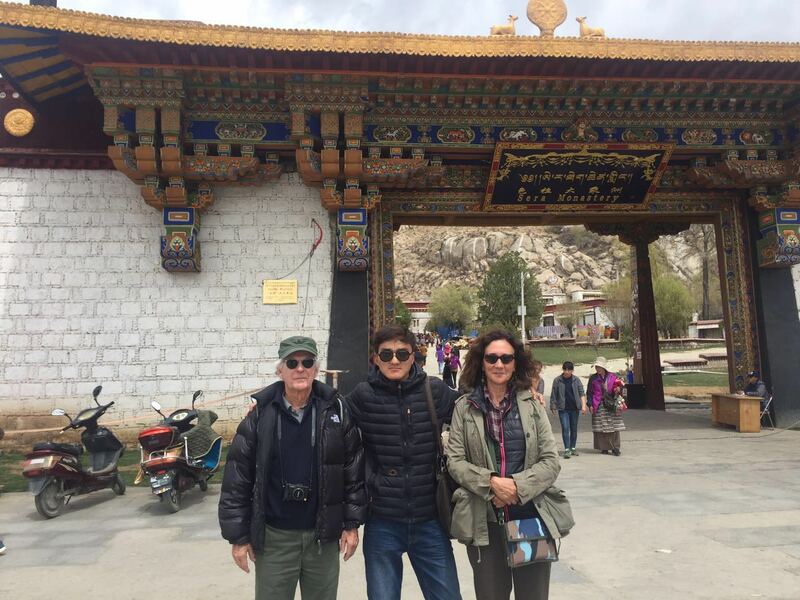 We would be hard pressed to find anything to complain about: your correspondent in Lhasa provided excellent services, in particular our guide, Kalsang Choedon, whose competence, reliability, patience and friendliness made our trip extremely enjoyable. Combined with the amazing job you did during the preparatory phase, I have all reasons to recommend your agency to other travellers and, personally, to consider using your services again in the near future. I would be grateful if you could convey this message of appreciation to whom it may concern. I had a very positive experience with your service. We were taken care of well and all of our needs were met. I would also like to say that we loved our tour guide Lhak and our driver (I never did get his name.) Lhak was very informative and kind, and we had a great time getting to know him. On the second day of our tour he took us to spend the day with his family and that was such an honor and one of our cherised memories from the trip. Please let Lhak know how much we enjoyed him as our guide. And the advisor Rickey was very helpful and friendly. He answered all of my questions in a timely fashion (even with the date difference) and I always felt that my needs were being taken care of. I truly appreciated all of the help that Rickey provided to us beforehand to ensure that we would have a great tour. The arrangements were wonderful. We got to see everything that we wanted in the short time that we had in Lhasa. 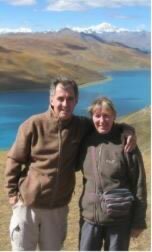 I would definitely recommend Access Tibet Tours, and Rickey in particular to any friends or family. I would also recommend Lhak as the local guide. I would be happy to email you some of our photos as soon as I get the time to get them downloaded and sorted through. It may be a couple of weeks as I am very busy getting back to work after such a long vacation. Just wanted to say that we had a wonderful time in Tibet and we are very pleased with Access Tibet Tour, our guide Pasang and our driver. Everything worked smoothly and we enjoyed our stay very much. Sorry it took me a while to get back to you on this, we have been pretty busy since we came back... Lots of school work. Tibet was incredible, and we were all very happy to have gone there. Pemba was a fantastic guide, and he was extremely knowledgeable on the places he took us, as well as the overall culture of Tibet. It was a fantastic experience, and if I know of anyone who will be traveling to Tibet in the future, I will be sure to recommend your company to them. The services you provided us were great. The way you pulled the itinerary and paperwork together very last moment, and dealt with our lack of regular phone service was fantastic. It seems you really went above and beyond what was expected to meet us in the Chengdu airport with the travel permit. The travel advice sent out beforehand was great, and everything went very smoothly while we were there. The breakfasts and lunches were all served at good restaurants, and the food in Tibet overall is a lot more gentle on the stomach, or so it seems than it is in Shanghai. The hotels were good, and the Cool Yak was in a particularly great location. We arrived save in Shanghai again this morning and Alina Wang was welcoming us at the train station. I wanted to thank you once again for your perfect organization of our Tibet visit, all went very well and my whole family is very content. Hope you will receive soon from the Lhasa agency the little "thank you present" which I left with our excellent guide Pasang. The guides you arranged for us (Lob Sang-Tibet and Fan Ru Jun-Suzhou) were excellent! Well, by the time we got to EBC the clouds had moved in and we just got glimpses of parts of Everest. If we had stayed over we would have had the evening and next morning to try for clear skies. We had no problems with altitude and could have stayed easily. Lob Sang's English is excellent and his explanations were very clear. We really got a feel for the workings of the monasteries and the deities. The itinerary you arranged for us was perfect! We got to see so many sights: lakes, valleys, monasteries and temples and they were all so picturesque. Also the weather was great - no rain - just the clouds at EBC to detract from perfection. By the way, I loved the food in Chengdu. Once we got the restaurants to realize we liked spicy food they served us dishes more to the local tastes and it was excellent! Thanks again for all your fine work. It is greatly appreciated. I am safely back home in Japan after a most wonderful time in Tibet!! Thank you for everything! All the arrangements were great, no problems, and my guides and driver were so helpful, friendly and knowledgeable. I did suffer some AMS, especially on the first day, but I was pretty much ok, though a little tired in the evenings. It was nice meeting you in Chengdu. I also enjoyed the DragonTown very much and met some nice people to spend time with in Chengdu; we went to Jin Li street together - great food!! I very much hope to have another chance to visit Tibet, with more time the next time! thanks again!! 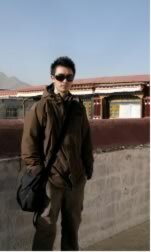 I am very happy that I chose your tour in Lhasa. My guide, Yullaw (or Yulla) was most professional and very knowledgeable about his culture. The driver, Mr. Dou (I think that's how his name is spelled) was accommodating. The only regret is that I wasn't told that the Potala Palace was beautiful at night with lights on and I didn't venture out. I will recommend your service to various travel websites and friends and families who are interested in going to Tibet. We would like to thank you for everything regarding our trip To Lhasa and Potala Palace and Mt Everest Base Camp. Everything was so well organized and our guide and driver were very good to us. We are back from Tibet and would like to say thank you for your good job you did very well with the organisation. Everything went well (we changed only one hotel in Gyangtse and the family visit didn't come up). The guide and the driver were excellent. Again thank you. We will recommend you to our friends. Our stay and the round-travel in this beautiful and amazing region was great. The excursions in Beijing were also outstanding. The hotel was satisfying. We were more than happy to spend the night in a Chinese hotel. The whole Group enjoyed every second in this beautiful country. All the guides bend over backwards to make this an unforgettable trip for all of us. We also want to thank our guide in Lhasa, her clarification was very proper and she introduced Tibet to us in way we would have never dreamed of. We do not only want to say thanks to all the guides, but to all the drivers as well. They did their job excellent, we felt safe the whole trip. We will surely recommend this travel agency to friends and family who are planning a trip in China. You can give us up as contact person if other people are interested in working together with you. We will certainly try our best to convince them of your professionalism. Do thank Katherine for all the arrangements. She is really an angel. We invite several tenders at several agencies located in China and in Belgium before we decided to go along with Access Tibet. It’s her kindness, correctness, honesty and thoughtful emails that did it. 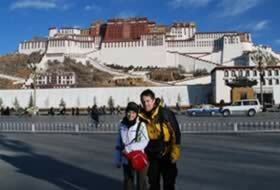 My wife and I recently returned home from a trip to Tibet which was organized through your company. Katherine Liu was our contact, and we found her to be the most efficient, accommodating, competent, kind and warm person one wants to deal with when planning a trip. Her response to our needs was always quick, and she took care of the smallest details. We want to thank her for the wonderful job she did. Our stay in Tibet was well planned, and we had memorable and exciting experiences. We also enjoyed our guide Tara who was very pleasant and helpful. 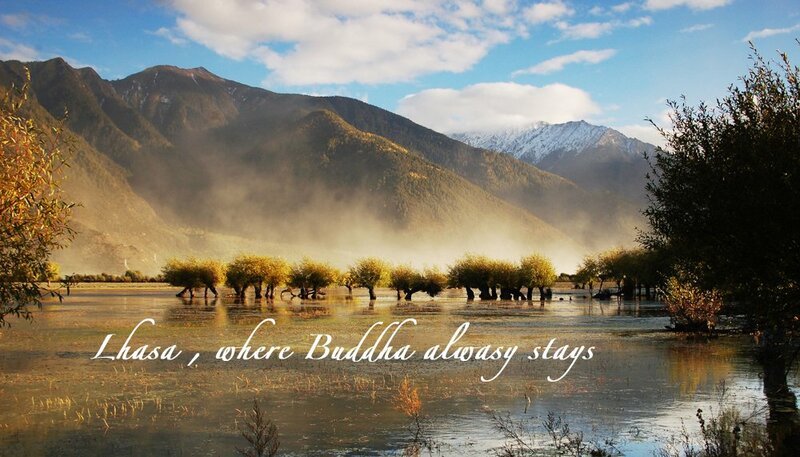 We recommend Accesstibettour to anybody who wants to visit Tibet. I would like to thank you very much for your help and cooperation by the organization of our tour and during the tour itself. We all did have a very very nice time in Tibet; it was by far the best part of our China-trip. First complements about the guide and also the driver, they both did a marvelous job, the city's, the monastery's, the temple's and the Palace were all impressive and unforgettable. Last but not least, the Tibetan people we met, so friendly, so real, so kind, so proud and so religious, it was a wonderful experience. Nice hearing from you and your company. Your company, most especially Brian's efforts...helped make our recent trip to Tibet such a memorable. Brian answered every inquiry within 24hrs, using high accuracy and professional service. We enjoyed the itinerary, sights and countryside. We respected the excellent driving and very good tour guiding. My wife and I though always say that although every country has its beautiful countryside and impressive sights....it’s generally the people who leave the lasting memories in Tibet. Wish you and your team good health and success. I thought the itinerary was perfect for a first-time visitor. Our driver and tour guide were the most wonderful people and we truly enjoyed our experience. 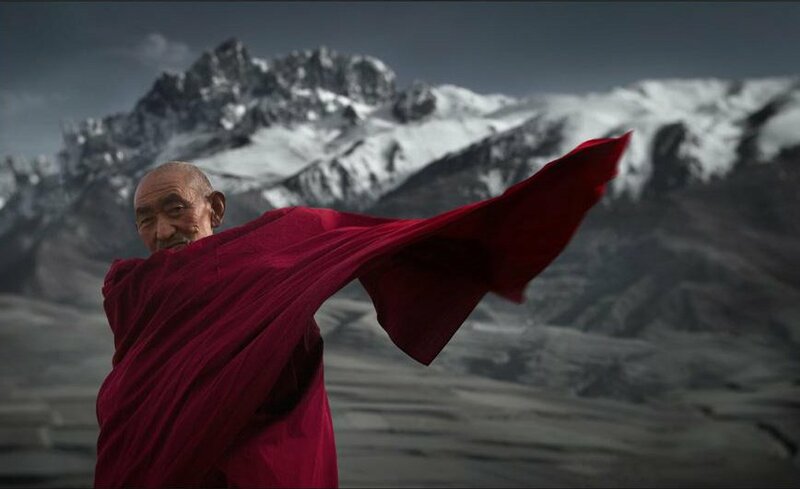 We were allowed enough free rein to really experience Tibet and make it our own journey. You're very welcome. I’m glad I was of help. Be assured I will definitely contact ATT again if and when I come back to Tibet. I have already recommended ATT several times on the Lonely Planet Thorn Tree forum. My wife and I planned a 3 week trip with Viking River Cruises to China and my wife wanted to ride the train from Lhasa to Beijing a week before. I did a Google search on Tibet Travel and sorted through the various sites and decided I liked your company best based on the information on the web site. 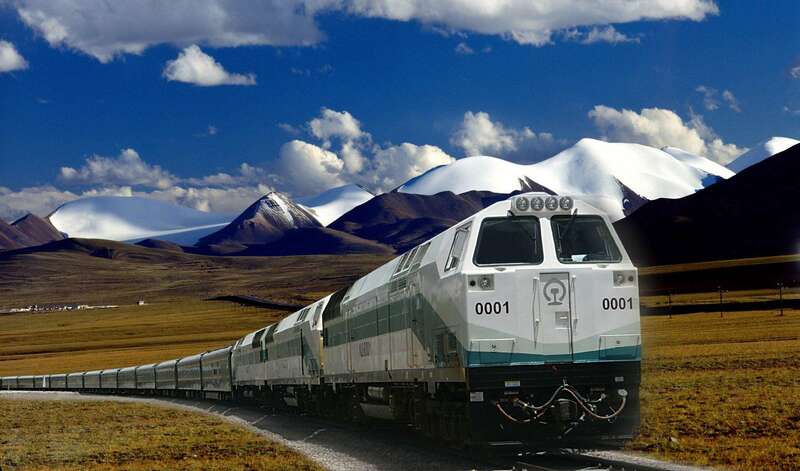 When I emailed I was impressed with the timeliness and completeness of the response including the recommendation to have my wife fly to Lhasa then take the train back instead of the other way. My wife thought her tour and the guide were perfect! I'm finally back in Shanghai and settled and unpacked - I had a fantastic time in Tibet, I can't thank you enough for all the trouble you went through to organize my trip! You're amazing. :) After the first night of AMS I was fine for the rest of the trip, except for some headaches in the morning, but they went away quickly. The guide Yulla was an excellent guide and was very knowledgeable on Tibetan Buddhism especially. I took the Qinghai-Tibet railway back to Shanghai, it was definitely a great experience, at least for the first day - the second day through the Chinese countryside can be a little depressing, however. I wish I had a way to return the favor for all the help you've given me! It has been always my dream to travel to Tibet. and me and my husband decided to go there last year for our "honeymoon". Unfortunately we (mostly me) got sick because of the altitude and we have to return to Beijing after 4 days only in Lhasa. We managed to see the Potala palace and our guide was very helpful and professional. He was with us all the time we had to run to the hospital and he helps us to change our flights. HE WAS A REALLY GOOD GUIDE. I do not remember his name but I will be sending you some pics (as you can understand we did not have much time take many). But we will return (some day) to Tibet and we will do it through your company as we are very happy with the treatment we received once we were there but also with all the help from John.